Pre-deceased by husband Bud ( 2006) , our beloved mother has passed peacefully with her children comforting her after a brief illness. Originally from Saskatchewan, she moved to B.C. At age 21 to become a nurse. After visiting Pender Harbour she decided this was her place and worked as a nurse at the Garden Bay Hospital. After marrying Bud and having 6 children she became a devoted fisherman’s wife and mother. 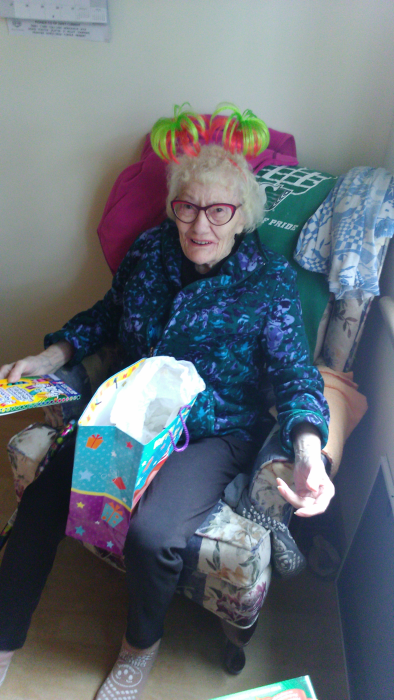 She loved the arts, including painting, crocheting , music and dancing. She was a feisty bundle of energy and goodness. Coaching the P.H. Bananas , men’s soccer , volunteering at school events, gardening, or spoiling her grandchildren. Her loving, warm and generous heart will be remembered by many, she is now dancing with her beloved late son Gordon. Forever in our hearts, children Harry, Mike, Deedee, Susan , Selina, many grandchildren and great grandchildren. As she was a long term donator to Happy Cat Haven & Children’s charity, in lieu of flowers, please donate to either charity .